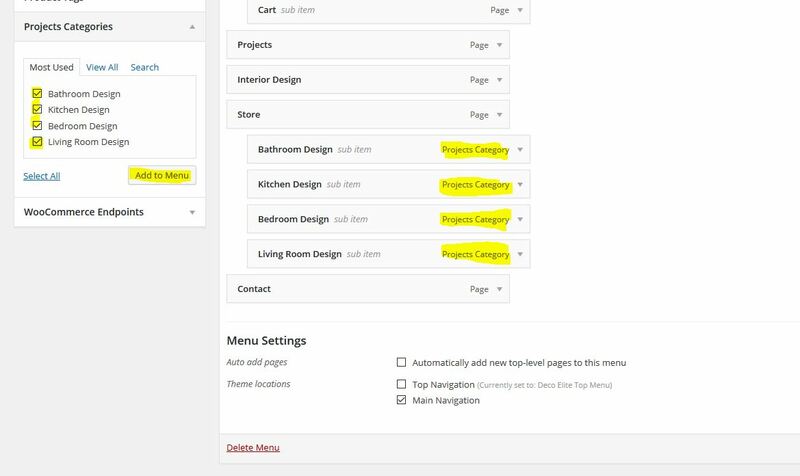 Then, you will be able to add product categories into the menu that you’ve created. After this, you may arrange them by drag and dropping them. Make sure to click on “Save menu“, in order for the changes to stay.